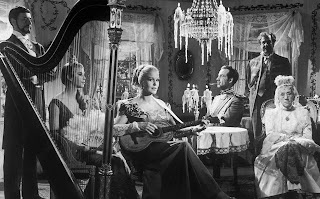 Smiles of a Summer Night is Bergman’s Broadway musical replete with romance and music and self-conscious theatricality. It’s not surprising that it was the inspiration for Stephen Sondheim's A Little Night Music. Like Lubitsch’s To Be or Not To Be the movie, recently revived as part of Film Forum's centennial Bergman retrospective, begins on stage where a magnificent beauty Desiree Armfeldt (Eva Dahlbeck) casts her spell and continues by citing the great works of theater from A Midsummer Night’s Dream to Strindberg’s A Dream Play, along with a touch of Lermontov, Goethe's Werther and especially the famous line from Faust “Die ewig weibliche zeiht uns hinan,” which could easily be the film's credo. 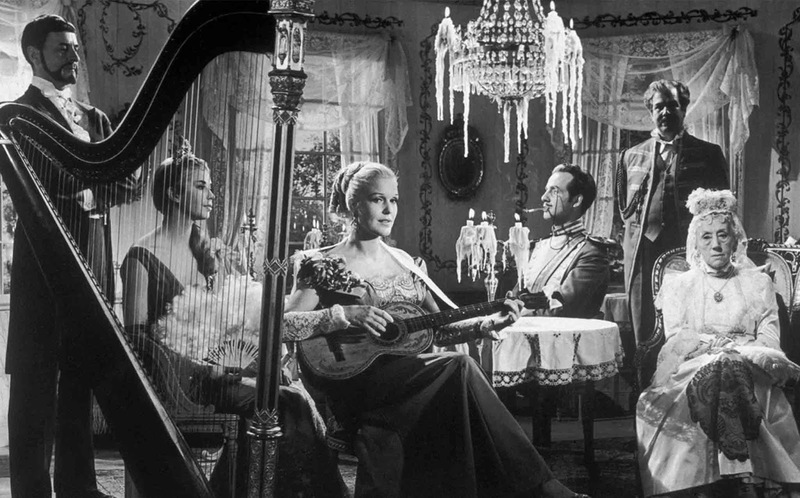 But though you will recognize all the familiar Bergman imagery including the cuckoo clock with its haunting carved figures, it barely holds a candle to his more profound works like The Silence, Winter Light and Through a Glass Darkly. Yes, Bergman is the twentieth century Shakespeare, but he was simply more adept at tragedy than comedy. Smiles of a Summer Night is Bergman light, but the artifice barely contains a character like Fredrik Egerman played by the great Gunnar Bjornstrand whose persona cries out for more than simple comic relief.